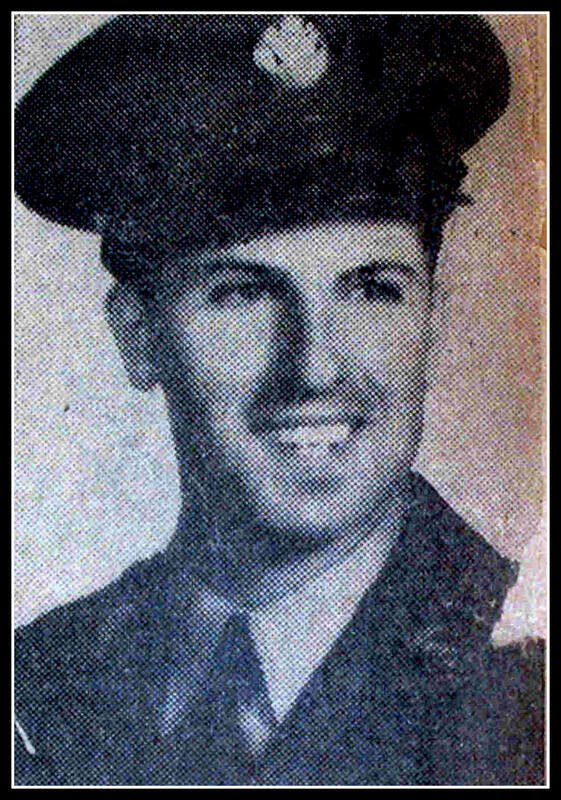 (Aug. 31, 1944) -- Corporal Gerald J. Fuselle, 24, of Belmont Avenue, died on July 10, 1943, in Tunisia, North Africa. He was overseas less than one month before he died. The infantryman lost his life in action during the last furious fighting before Rommel's Nazi hordes were swept out of Tunisia in the Mediterranean. He graduated Belleville High School in 1936, and served in the National Guard for three years. Fuselle enlisted in the Army in February 1942. His service number is 32237101. (Oct. 7, 1943) -- Cpl. Gerald Fuselle, of Belmont Avenue, Belleville, N.J., was reported missing in action since Sept. 2 in the North African Theatre of Operations - which includes Sicily. The 24-year-old soldier had recently written "we're in sight of the city (probably Bizerte) but not allowed to go there .."
He had been overseas since the end of June.